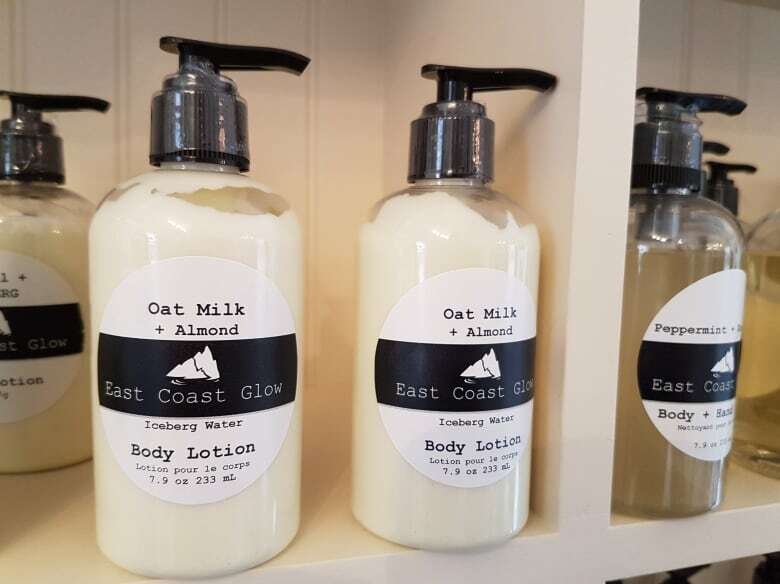 East Coast Glow is a new business in Bonavista making soap and cream using the purest water you can find, iceberg water. Roger Dewling used to chase down pieces of iceberg that had broken off and drifted close to shore to cool down his drinks. Now, he has an entirely different reason for collecting bergy bits. Roger and his wife, Karen Dewling, make and sell soap and creams produced with the glacial water. "Soap making is really a chemical reaction that's taking place called saponification and the purer the water source the better the chemical reaction is going to be, which is going to result in a better soap," Karen explained. 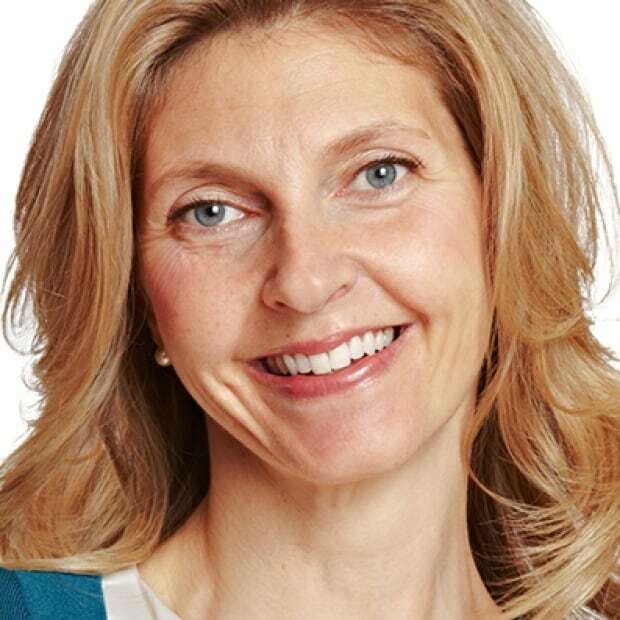 Karen Dewling began making soap years ago for her daughter's sensitive skin. "She was born with terrible eczema to the point that she needed some intervention and of course when we visited our doctor we were given harsh creams and topical steroids and things like that, that I didn't want to slather my six-month-old baby with, so it kinda happened that way," she explained. 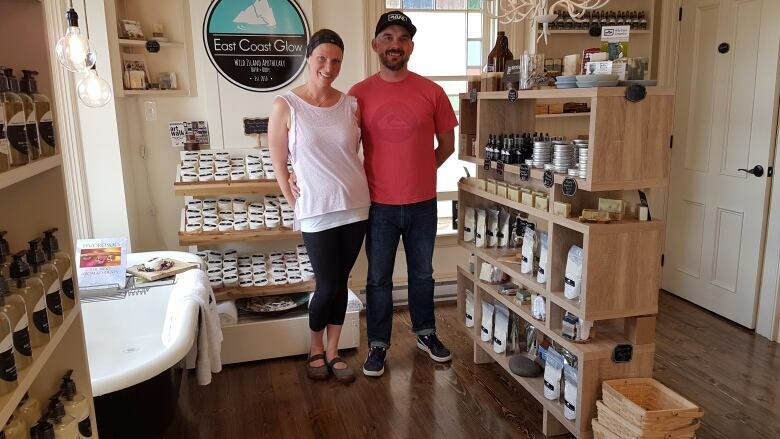 Now, the Clarenville couple is selling their iceberg soap and creams in Bonavista as fast as they can make them. "We've had a lot of good support and people who come out who can't use any other products, they try our things and they're able to use it and they keep coming back." They've called their business East Coast Glow. Karen Dewling says the cool, rare ingredient impresses tourists who often come from far away to see towering sculptures of ice off the coast of Newfoundland and Labrador. "They go out on these tours and they see them and they're enthralled by them so they come here and they see that we use the iceberg water and they kind of step back and say wow, we can't get this anywhere else and they bring gifts back to their families," she said. Roger Dewling is a chef instructor at the College of the North Atlantic in Bonavista. 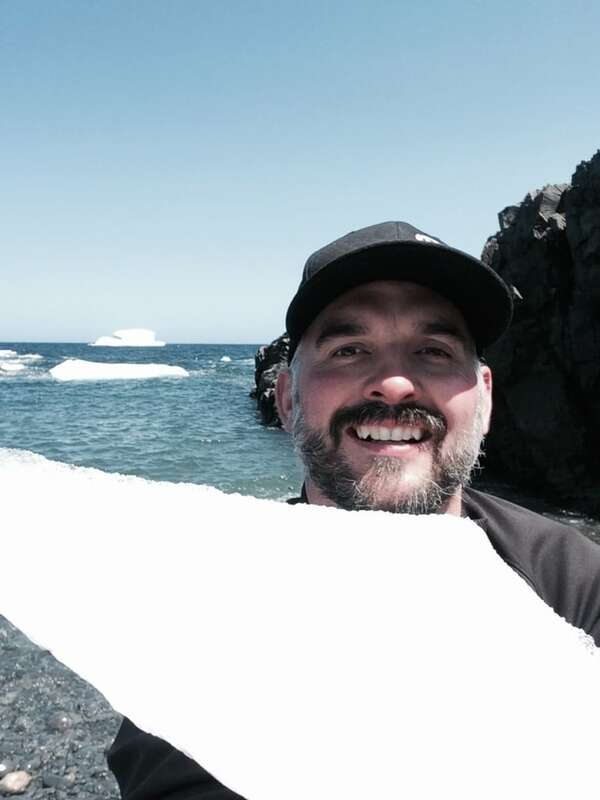 His scenic coastal commute from Clarenville offers him time to spy icebergs in the spring. When they start to break up, he moves in. "I roll up my jeans, take off my boots and just go out and get it," he said. Dewling always carries around restaurant bus pans in his vehicle for the unexpected harvest. "We have, like, three chest freezers full of icebergs." Roger's iceberg collecting happens over a short period but there's another special ocean ingredient the Dewlings gather all year long. 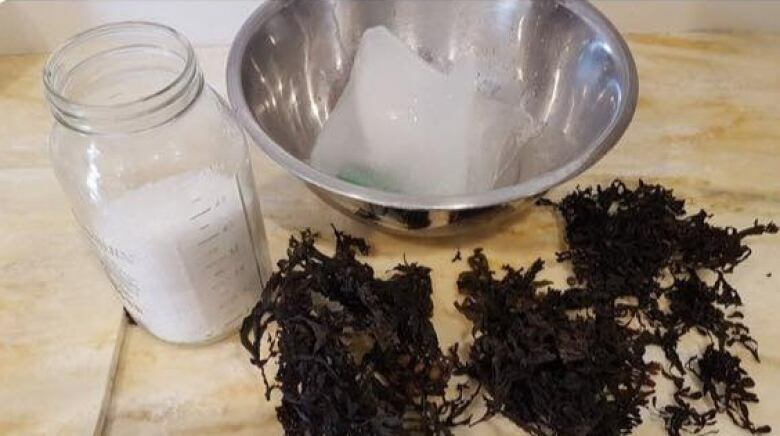 "We collect seaweed and kelp off the cape lighthouse and we dry that and we put that in our salts and our bath balms as well," explained Dewling. "It makes our product interesting and we're here in Newfoundland and why not use the products that are all around us and in the ocean." East Coast Glow's storefront is in Bonavista for the summer. Karen Dewling says once the tourism season slows down, they'll rely on online sales which they hope will be just as brisk. "It's a great sell and it's a great thing that we promote as Newfoundlanders that this is part of our culture and what we do," said Roger Dewling. You can hear The Broadcast with host Jane Adey weekdays at 6:05 pm.